When interest rates are low it becomes even more important for your wealth management and investment plans include a diversified investment portfolio. Investors who keep the bulk of their capital in bank and building society deposit accounts will not be making the most of their money. Cash is a vital part of any investment portfolio in providing short term liquidity, but there is a real risk of capital erosion due to inflation. With the right savings and investment advice you can take advantage of the many savings and investment opportunities that are designed to make your money grow and/or provide income. If you’d like to generate more income or grow your capital, independent financial advice on how to manage your money more profitably can prove invaluable. The type of investment that suits your needs depends on a number of factors, such as the risk you are willing to take, the amount of income or growth you want, your time horizon and the rate of tax you pay. Your Investment adviser will guide you through this process explaining all your options and tailoring the solution to your personal needs. 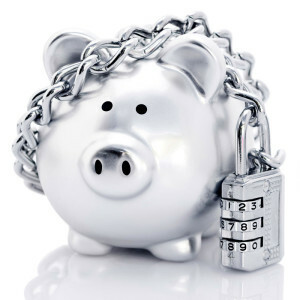 The best way to protect and preserve your position is to review your existing investments and your financial needs, at least annually. We offer this facility to everyone. It is essential with changing tax and investment climates. When we work with you for the first time, we will produce a detailed report, in relation to the information you provide. We offer recommendations that may involve the use of Trusts or if we feel it appropriate, may contain new investment choices reflecting your tax position and your future requirements. 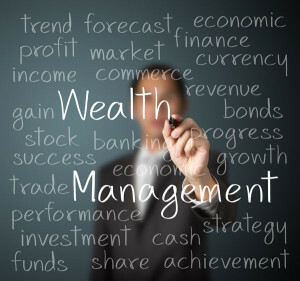 For all Investment planning we make recommendations based upon the Whole of Market. We work on a fee basis and all charges will be explained at your free initial consultation. Everything is disclosed and nothing is hidden. Thereafter it is entirely a matter for you to decide if you wish to proceed or not. Are you a Trustee or Attorney? If you are a Trustee, we can guide you through the intricacies of the Trustee Act 2000. That Legislation gives a modern framework for the investment of Trust assets, again we believe that to satisfy the duty of care specified by the Government; all Trusts should be revisited every year. We have detailed experience in dealing with Attorney’s either under an Enduring Power of Attorney or Lasting Power of Attorney. Most of our new clients come from referral from either existing clients or our professional connections such as solicitors and accountants. We believe in long term relationships in order to be able to best serve you and welcome the opportunity to work with you on this basis. For your information we have a selection of savings and investment guides, please click on the links to the left. The Financial Conduct Authority does not regulate tax and trust advice or National Savings. Past performance is not an indication of future performance. The value of investments in the Stockmarket held directly through individual shares or indirectly through collective investment vehicles, as well as any income derived from them can go down as well as up. Investment returns cannot be guaranteed and you may not get back the full amount invested. The stockmarket should not be considered as a suitable place for short term investment. VCT and EIS investments may not be suitable for everyone. We will assess whether this type of investment may be suitable for your needs and circumstances before discussing these types of investments with you. Financial independence: what are your goals?